Uninsured and underinsured drivers in Hollywood and Florida are a serious problem. In the event of an automobile crash, insurance is meant to help pay for property damage, car repairs, and injury. When a person is in a traffic collision with an uninsured driver, it becomes harder for the injured party to secure compensation for their injuries. In addition, uninsured and underinsured drivers can also raise the insurance rates for all motorists. Authorities have also noted that uninsured drivers may contribute to hit and run crashes in Hollywood and other parts of Florida. 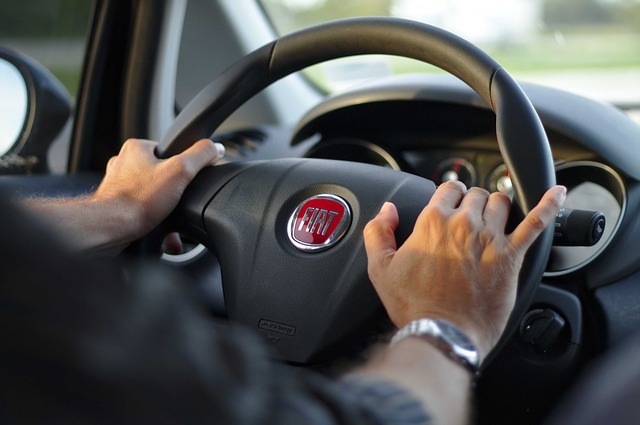 Quite simply, when drivers know that they have done something wrong – such as driving drunk or driving without a license or without insurance – they may have a legal or financial incentive to leave the scene of an accident. According to the Insurance Research Council, close to 24 percent of Florida motorists do not have car insurance, even though having this type of coverage is mandatory in the state. In fact, Florida is one of the top five states in terms of regions with the largest number of uninsured motorists. The problem is so significant that Hollywood police are working with the National Insurance Crime Bureau to crack down on drivers who are driving with no insurance or fraudulent coverage. Insurance company agents have shown Hollywood police how to recognize fake insurance documents and police will be holding more traffic stops to put the information to use. When drivers are caught without insurance or with fraudulent coverage, they can face criminal charges and other penalties. A motorist caught with expired insurance, for example, can be given a citation. Someone driving with falsified insurance documents can be charged and arrested. 1) Check to make sure that your insurance is valid and paid in full. In some cases, drivers are on the road without insurance inadvertently. They may allow their policy to lapse or may forget to make a payment. You don’t want to be in a car accident only to find that there is something wrong with your policy, so take steps now to ensure that everything is in place. 2) Read your insurance policy. In some cases, insurance law issues in Hollywood and other Florida communities occur because policy holders don’t understand their insurance policies. In many cases, insurance paperwork is not very user-friendly or simple to read, but making the effort is important if you want to understand your policy. If you have questions or don’t understand the terms of your insurance, contact your insurer – it is their job to explain your coverage. 3) Shop around for a better rate. If it has been a few years since you have compared rates or if you think your credit rating is better now than it was when you last applied for insurance, it pays to check to see whether you can get a better deal. 4) Get additional underinsured or uninsured motorist coverage on your policy. With the extra money you save by getting a better rate, invest in good underinsured and uninsured motorist coverage for your car insurance. With so many drivers in Florida driving without adequate insurance, this coverage is your best defense if you are ever in a collision with one of these drivers. 5) Get the most injury protection you can afford. Keep in mind that if your insurance is not enough, you may end up paying out of pocket for some of your expenses or you may find yourself sued by passengers or drivers injured in the crash. Have you been injured by an underinsured or uninsured driver in South Florida? Do you have concerns about the insurance process after being in a traffic crash? Contact Flaxman Law Group to arrange a free consultation so that you can get legal advice and answers to your questions with no cost and no obligation.